As the thermometer hits triple digits, it is hard to believe there is anything hotter than the Texas weather. This may be true, with one exception: the Texas economy. Although the entire nation has benefitted from low unemployment, much of the economic growth and job creation has originated in the Lone Star State. When I tell people we are headed to Omaha for the Berkshire Hathaway annual meeting, some vaguely nod their heads. Others ask why we go when we can watch Warren Buffett and partner Charlie Munger online. I first started going to Omaha fifteen years ago. As each year passes, the experience becomes more impactful. The desire to chase a hot manager is so hard to resist—even for professionals. The news media loves to tout a manager after a huge home-run performance. They discuss their success as if they are clairvoyant savants with supernatural abilities. Between 2004 and 2016, Bill Ackman’s Pershing Square Fund increased by 500%. As a result, Ackman received tremendous recognition and was a regular on CNBC. John Paulson, a hedge fund heavyweight, successfully bet on the collapse of the housing market, netting him nearly $15 billion. During the “lost decade” of 2000 to 2009, Bruce Berkowitz led the Fairholme Fund to total gains of 245%, or 18% per year. Over the same time, the S&P 500 went nowhere. This earned Berkowitz “fund manager of the decade” honors. It is hard not to want a piece of the action. It ranks right up there with trying to hit the winning lottery ticket. The allure of quick money releases all sorts of endorphins, causing a variety of emotional decisions. 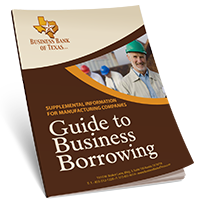 Editor’s note: Dave Sather, in addition to serving on the Business Bank of Texas board of directors and running a financial planning group, leads an internship program at Texas Lutheran University in Seguin, Texas. The program, Bulldog Investment Company, teaches TLU students about sound investment principles. This year, the participating students competed in the Texas Investment Portfolio Symposium (TIPS) and won top honors. In the article below, Dave shares some of the investing principles that helped his students win the competition, which are valuable for the average investor to keep in mind as well.